Dubai-based flydubai on September 6 announced that it would move its existing operations from Kyiv Sikorsky International Airport to Boryspil International Airport with effect from October 28, 2018. 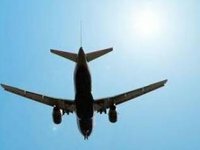 "Ukraine remains an important market for the airline. From October 2, double daily flights will be available between Kyiv and Dubai," the company said in a statement on its website. "Through flydubai's expanded codeshare partnership with Emirates, Ukrainian passengers also are offered unmatched travel options via Dubai's aviation hub," the company said. "Another good news for Boryspil and its passengers. Terminal F will still be filled from next year," Ukrainian Infrastructure Minister Volodymyr Omelyan commented on the announcement.